garvey cey russell lopes: dennis lewallyn, double dipper? it's true. 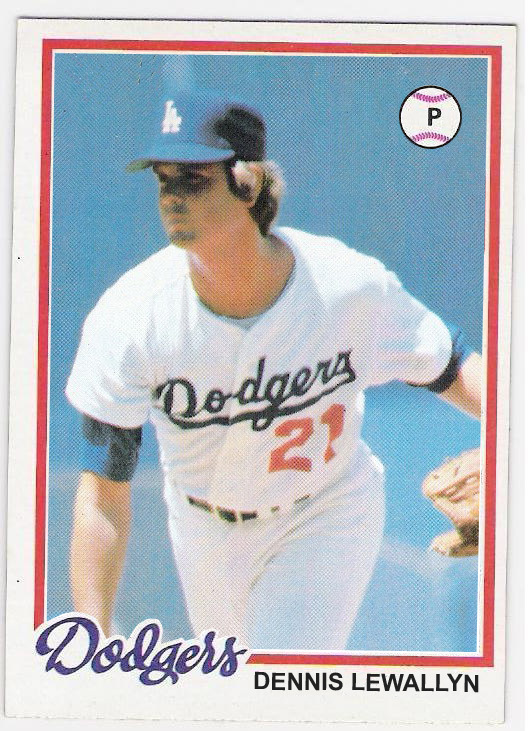 denny lewallyn, in addition to being a member of the 1977 and 1978 national league champion los angeles dodgers, was also a dodger double dipper. 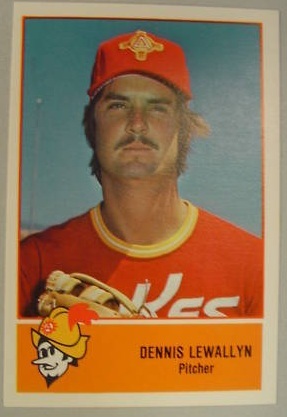 lewallyn actually began his big league career with the dodgers in 1975. he appeared in 6 games over the '75 and '76 seasons. 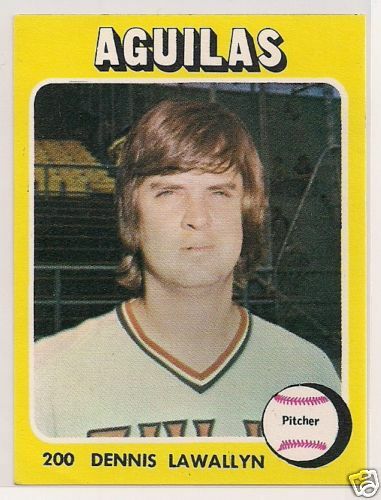 his 1975 debut consisted of two perfect innings against the astros, and his first win came via a 7-inning shutout performance against the padres on october 1, 1976. he had his best season in 1977, earning a decision or a save in all 5 games in which he appeared. 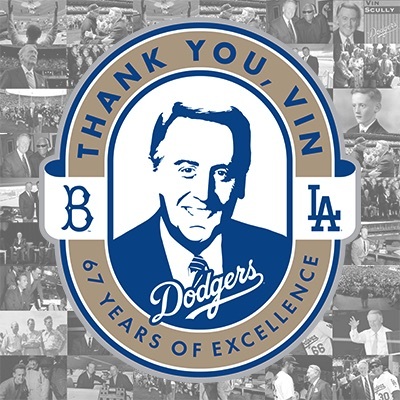 he had 3 wins, 1 loss and 1 save in 17 innings of work. 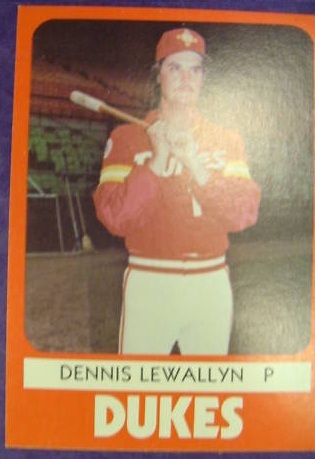 after the season, he was purchased by the minnesota twins. 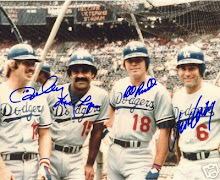 the twinkies, however, returned him to the dodgers in march of 1978 so he never appeared for them in a big league game. 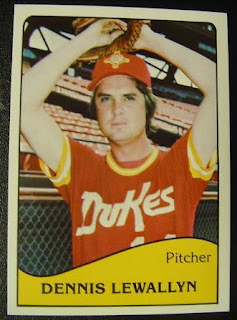 even though he appeared in just 4 games for the tribe in 1982 and was out of the bigs by the end of april. with his name misspelled. i am disappointed that i could not find a photo of him in a twins uniform from his brief spring training stint with the club. 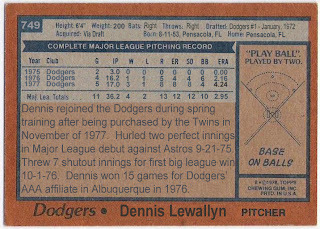 in all, lewallyn had a big league record of 4-4 with all but one loss coming as a dodger. 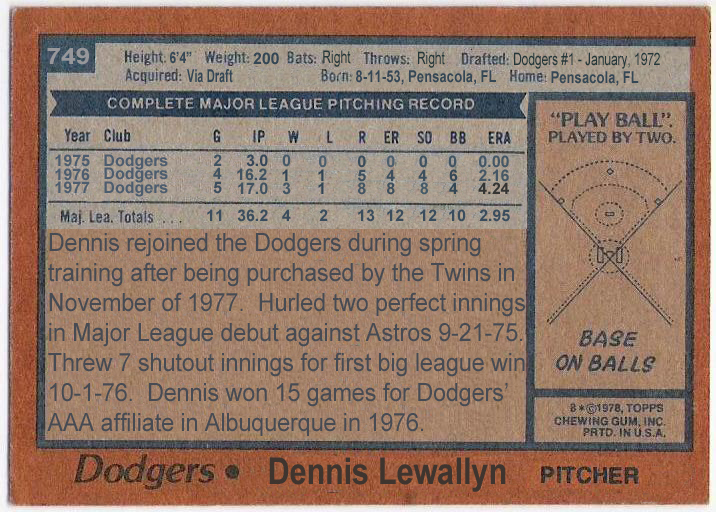 here's to you denny lewallyn, double dipper with a 1978 topps burger king dodger update card that should have been! Yeah, those minor league cards go for $13 or so on eBay. 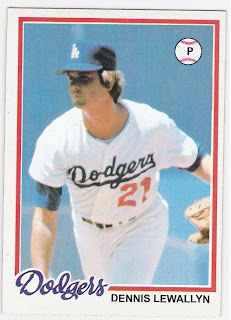 I would check out Beckett.com, cards like those generally sell between $1 and $3 there. 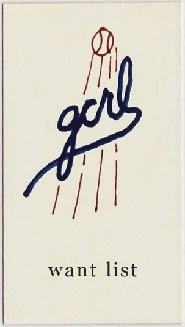 garey ingram through the mail success! bobby morgan through the mail success!